Learn how to make perfectly browned meatballs that are moist and tender on the inside, then coated in a thick, gooey sauce. 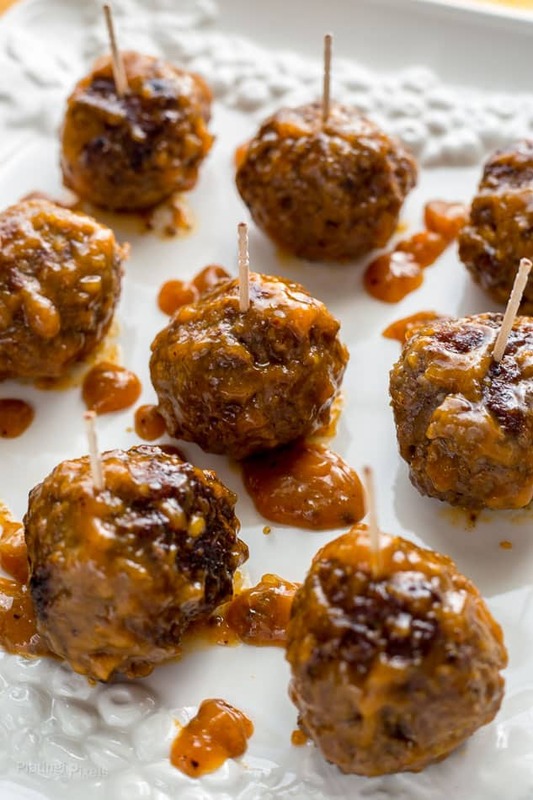 Caribbean Mango Sauced Meatballs have a fruity, sweet and spicy flavor and are a perfect appetizer for parties. If you’re looking for a simple game day appetizer I got you covered with these Caribbean Mango Sauced Meatballs. Just a few ingredients and you’ll have juicy, sweet and spicy meatballs perfect for serving guests. That’s the best part about appetizers, a little bit of hands-on time results in plenty of food to share. When it comes to watching games, homegating is a fun and convenient way to have a game day experience. Cook any food you’d like and drinks are available right out the fridge. When hosting larger groups, a cooler is a functional way to add to the experience, as you can store more beverages and showcase it right in the living room. 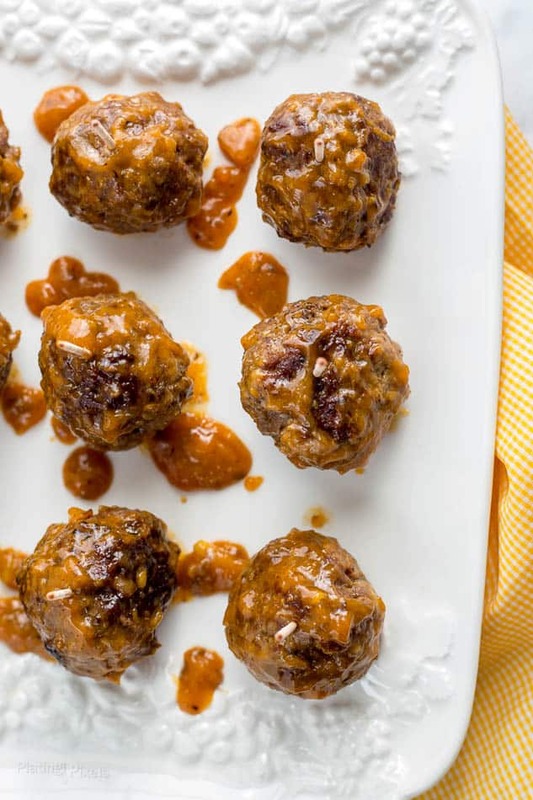 As far as appetizers, these Caribbean Mango Sauced Meatballs are sure to be hit. Start with quality lean ground beef (preferably grass fed) and mix in panko bread crumbs, egg, paprika, hot sauce and other seasonings. Once cooked they’re coated in a homemade sticky, sweet and spicy Caribbean mango sauce. For perfect meatballs that are browned on the outside, yet moist and juicy on the inside you’ll need to cook them in two steps. 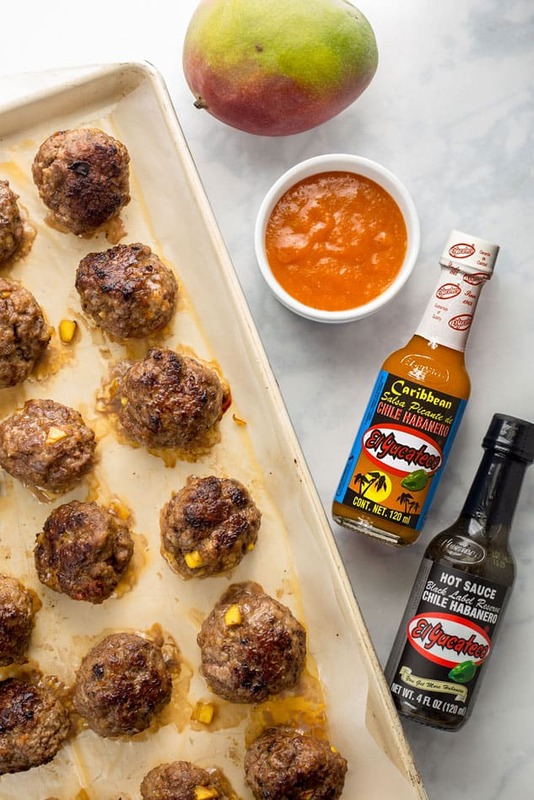 Place browned meatballs on a baking sheet and bake just until the inside reaches 160° F., or about 15 minutes at 300° F.
Flavor profiles: Fruity, sweet and spicy paired with savory beef. Texture: Moist, tender meatballs with browned outsides, coated in a thick, gooey sauce. 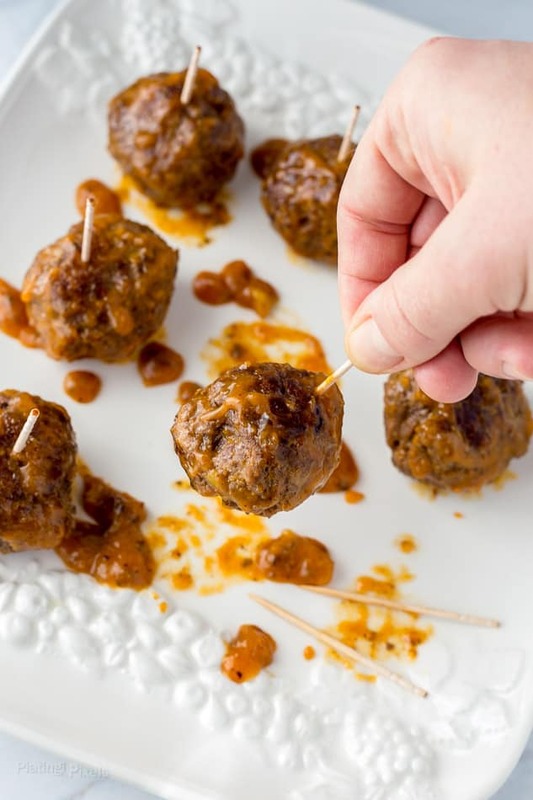 Caribbean Mango Sauced Meatballs have a fruity, sweet and spicy flavor and are a perfect appetizer for parties. Moist, tender meatballs coated in a thick, gooey sauce. 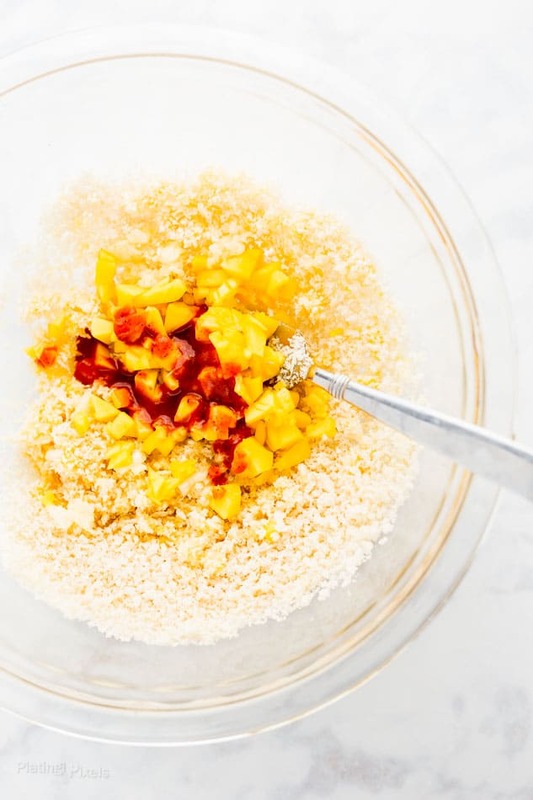 Preheat oven to 300° F. In a large bowl, stir together egg, bread crumbs, 1-tablespoon hot sauce, paprika, salt and pepper. Add mango and ground beef and mix together completely by hand. Roll into roughly 30 (1-inch) balls. Heat olive oil in a large nonstick pan or skillet to medium-high heat. Brown meatballs in two batches, about 2-3 minutes per side. Place on a large baking sheet 1-inch apart and bake 15 minutes, or until internal temp reaches 160° F. Remove from oven. Meanwhile: Stir together mango juice, honey and remaining hot sauce in a small saucepan over medium heat just until boiling. Stir in cornstarch, heat one minute more or until thickened. Toss with cooked meatballs and serve immediately. If serving as an appetizer, insert a toothpick in center of each.